This time around, OnePlus’s new flagship isn’t about being different. It’s about fitting in. Indeed, OnePlus’s marketing slogan may be “Never Settle,” but it feels like we’re doing an awful lot of settling with the OnePlus 5. With the exception of the ultra-budget OnePlus X, OnePlus’s handsets have all had 5.5-inch screens. 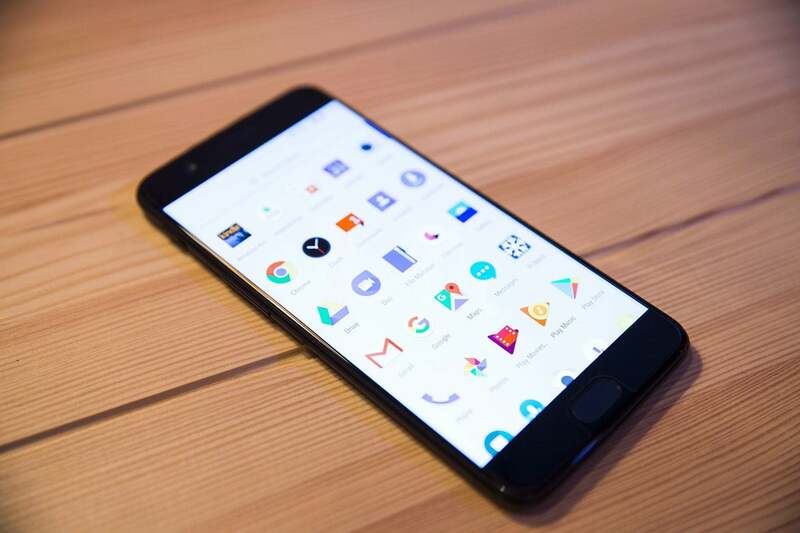 The OnePlus 5 continues this trend, using the exact same display found in the OnePlus 3 and 3T: a 5.5-inch, 1920x1080 screen with a pixel density of 401ppi. It’s not a bad display by any means, but it falls behind the the QHD screens on the Galaxy S8 and the LG G6. The OnePlus 5 has the same 5.5-inch AMOLED screen as the 3 and the 3T. Like earlier OnePlus models, a home button/fingerprint sensor remains on the front, as do capacitive back and recent buttons. 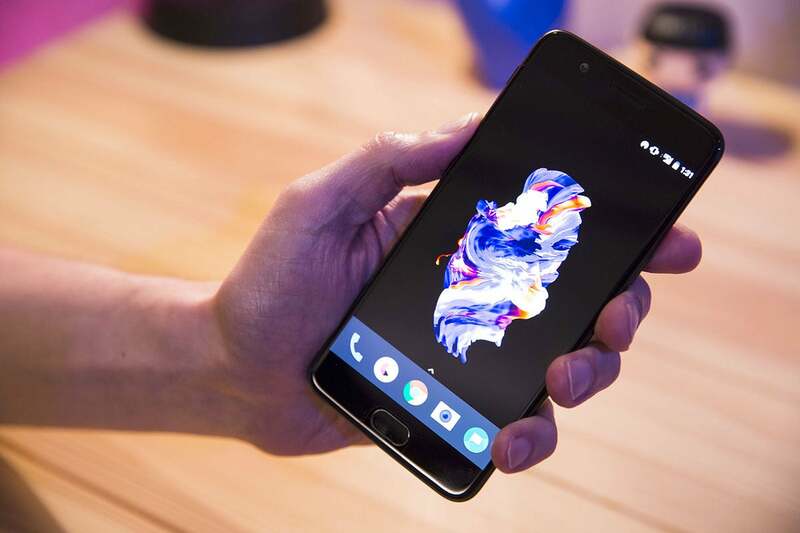 OnePlus positions the OnePlus 5 as an alternative to the premium Android flagships, but with chunky bezels and an oversized frame, this latest model is more comparable to last year’s phones than this year’s. And it’s not even water-resistant. It’s just dull. OnePlus still insists on shipping its phones with a full-fledged screen protector. This might have been charming with the OnePlus One, but now it’s just annoying. Once I took mine off, the phone looked and felt remarkably better, accentuating the curves of its 2.5D glass edges, and giving the mirrored home button proper room to breathe. If the OnePlus 5 looks like a OnePlus 3T from the front, the back is all iPhone 7 Plus, with a dual camera setup in the top left corner and a OnePlus logo where the Apple symbol would be. Copying Apple isn’t the worst strategy to follow, but for a company with six phones under its belt, it seems unnecessary. 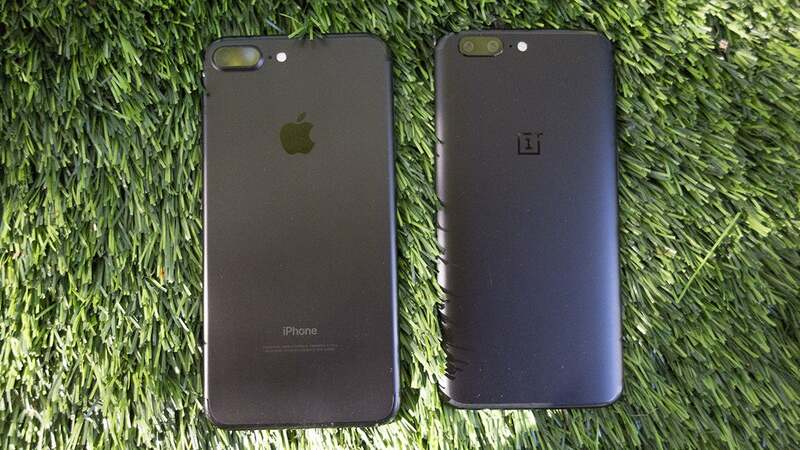 Quick: Which one is the OnePlus 5 and which is the iPhone 7? At least the rear enclosure looks sharp. Available in black or gray, its polished aluminum surface is a nice contrast to the glass backs of its competitors, but it does easily pick up visible scratches. It’s also a little slippery to the touch, but its palm-friendly contours and thinness will probably limit the number of drops. If you’re opposed to your Android phone looking so much like an iPhone, OnePlus again offers a series of official cases in a variety of faux finishes such as carbon fiber and wood grain. They fit nicely without adding much bulk, but I can’t help but wish OnePlus had designed the phone with as much flair and creativity as its cases. OnePlus’s Do Not Disturb slider is the best thing to happen to Android phones. 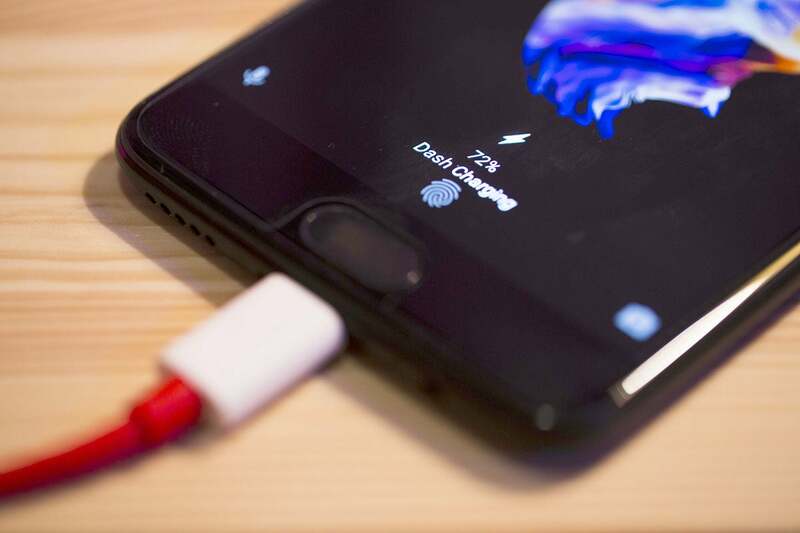 Around the edges, OnePlus continues to offer a handy alert slider that instantly turns on Do Not Disturb, as well as a USB-C port, dual SIM slot, and a headphone jack. OnePlus poked a bit of fun at Apple during the unveiling of the OnePlus 5, but headphone jack jokes are getting tired, and OnePlus actually treats audio output as something of an afterthought: The box still doesn’t include earbuds, though the company will sell you some for $20 extra. With a Snapdragon 835 processor and up to 8GB of RAM, the OnePlus 5 is an absolute beast. This is the third phone with Qualcomm’s top-of-the-line chip that I’ve tested, and it felt significantly faster than either the S8 or the HTC U11. We’re talking zippy animations, speedy apps, and stutter-free scrolling. I didn’t include benchmark charts in this review because OnePlus has admitted to gaming its phone to deliver high scores. It’s a shame, because I don’t see any reason why it had to fudge the numbers. If you’re looking for one of the fastest Android phones money can buy, the OnePlus 5 has to be right at the top of the list. The 8GB of RAM in my review unit helped keep the system humming along, and the phone’s virtually bloat-free OS gives it a Pixel-like smoothness out of the box. Even the fingerprint sensor is absurdly fast. Granted, Google’s next handset will likely up the ante once again, but for now, the OnePlus 5 doesn’t just look like an iPhone 7—it feels as fast as one too. Dash Charge helps fill up an empty OnePlus 5 in a jiffy. Its battery is no slouch, either. While OnePlus didn’t deliver the monstrous 4,000mAh battery that was rumored, the one it has easily powers through a full day of heavy use, despite being 100mAh smaller than the battery in the 3T (3,300mAh vs. 3,400mAh). For reference, our benchmark tests showed it lasting a remarkable 10 hours (versus 6:54 for the 3T), and I have no reason to doubt those numbers are legit. The OnePlus 5 lasted long after my LG G6 needed a charge, and was neck-and-neck with the Galaxy S8+. The OnePlus 5 also supports OnePlus’ Dash Charge system, which fills it up faster than its Quick Charging peers. However, you’ll still need to use the cumbersome red cable to get the benefits, and sadly the aluminum back means we still have to wait for wireless charging. OnePlus is touting the 5’s camera as its biggest upgrade, and it’s hard to dispute that claim. OnePlus’s cameras have never really competed with the Galaxies and Pixels of the world, and the 5 certainly closes the gap. OnePlus has added a second camera to the 5, but it still doesn’t compare to the best Android shooters. 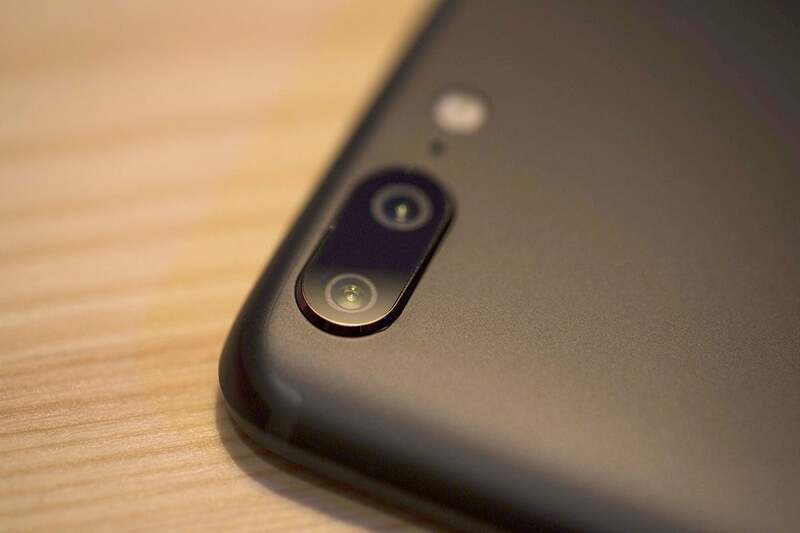 But even with a custom Sony image sensor and a dual camera system that combines a 16MP lens with a 20MP telephoto len, the OnePlus 5 isn’t quite in the same league as its premium peers. The lack of optical image stabilization and its relatively small 1.12 µm pixel size are the biggest drawbacks, but its processing prowess isn’t quite there yet either. It’s not a bad camera by any means—in fact it’s quite good for a phone that costs less than $500—but in my testing it was a step below what I saw with the industry leaders. In bright sunlight the OnePlus 5 (left) focused quickly, but the images were a bit too cool. The LG G6 (center) went in the other direction, and the Pixel (right) was spot on. That said, the OnePlus 5 generally took great shots very quickly, with fast auto focus and shutter speed, even in HDR mode. The camera app is particularly good, with a clean layout and an excellent pro mode that even includes a tiny histogram. However, demanding shutterbugs might not be so keen on the results. In harsh low light, the OnePlus 5 (left) produced noisy, out-of-focus images, while the LG G6 (center) and Pixel (right) performed much better. Colors were vibrant if a bit on the cool side, but the excellent detail it was able to capture at a normal distance disappeared when using the 1.6x optical zoom. And in extreme low light, images were noisier than its competitors and the fast auto focus struggled mightily, often resulting in unusable shots. The marquee feature of the OnePlus 5’s camera is portrait mode, another me-too feature borrowed from the iPhone 7 Plus. But OnePlus doesn’t pull it off nearly as well. The portrait mode on the OnePlus 5 is just OK. 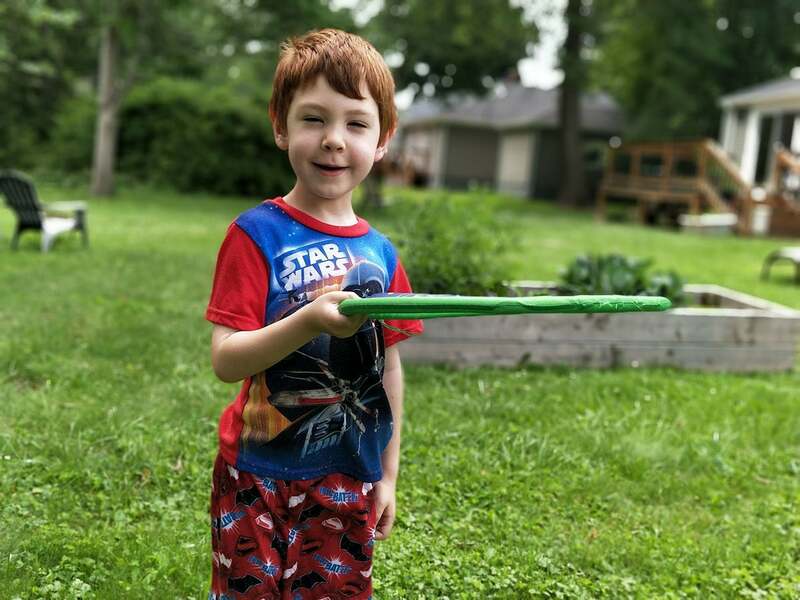 In this image, there’s too much definition in the blurred background, and my son’s left arm and hair aren’t crisp. For one, the depth effect isn’t pronounced enough. The subject stands out, but the faux bokeh isn’t as intense as it is on the iPhone. And OnePlus’ processing leaves quite a bit to be desired. Even when shooting against a solid background, it often took several attempts to lock in on my subject, and the edges tended to be extremely soft. Of course, Apple’s method isn’t perfect either, but even after numerous attempts, I was unable to shoot a flawless portrait shot with the OnePlus 5. The One Plus 5 (left) picked up the detail of the leaves better than the LG G6 (center), but only the Pixel (right) got the color just right. The 16MP front camera is essentially the same as the 3T’s, with blemish-removal sliders and a full-screen selfie “flash.” Electronic image stabilization helps a bit when the lights go down, but like the rear camera, for best results you’ll want to stick to bright spots. OnePlus has always stayed faithful to Android with OxygenOS, and on the OnePlus 5, it’s nearly identical to Nougat. Sure, the build includes a few extra apps, but they’re removable, and you might not want to dump them. For example, File Manager is something Google might want to adopt for Android P, offering an overview of everything stored on your phone and providing a fingerprint-protected folder for your sensitive documents. The OnePlus 5’s app drawer is refreshingly roomy. This version of OxygenOS is based on the next-to-latest version, 7.1.1, but it feels as fresh as can be. Honestly, the only things I missed from my Pixel phone were the weather widget and the ability to type requests to Google Assistant—both small quibbles for sure. OnePlus’ OS is refreshingly clean and light, all of which makes the phone feel even faster. Even without any clutter, though, OnePlus manages to add some pretty cool enhancements to Nougat. The practical Shelf returns with app shortcuts, and expanded gestures let you tweak the navigation to your liking. But the best feature by far is Reading Mode. Reading Mode on the OnePlus 5 lets you designate certain apps for optimal viewing. Instead of a dark mode or a simple blue light filter, the OnePlus 5 mimics the reflective, grayscale e-ink screens of Kindles and other e-readers, while also adapting the screen to the light around it. The result is nothing less than the most pleasant reading experience I’ve ever had on a phone. One Plus’s tagline is Never Settle, but it feels like you’re doing a lot of settling with the 5. But let’s break it down. You can either pay $479 for 64GB of storage and 6GB of RAM, or $539 for 128GB of storage and 8GB of RAM. That’s kind of a no-brainer decision (especially since you can't expand the storage with an SD card), so for most buyers, the OnePlus 5 will cost just about $540. That’s a great price—and certainly a better deal than the $750 Galaxy S8, or the $650 HTC U11 and LG G6. However... with giveaways and carrier discounts, smart shoppers rarely pay full retail price for those phones. And when you factor in the lack of earbuds—an omission that was easier to overlook when OnePlus phones cost $299 and Samsung wasn’t shipping AKG buds—the difference isn’t quite so stark. And, as before, Verizon customers need not apply. Beyond that, a brand new flagship phone, even a mid-range one, should feel like the very best piece of hardware you can buy. While the OnePlus 5 is a beast on the inside, its user-facing features—from superficial aesthetics to an outdated display—already feel quite stale. And in a year or two, the OnePlus 5 will probably feel downright ancient.